If you are producing a Podcast, are you reaching as wide an audience as possible? This post is all about Launch, Promotion and Syndication for your Podcast! For advice on a launch strategy, I can do no better than refer you to Chris Ducker’s excellent post on this. It was reading this blog post that prompted me to look against my podcast statistics and to write this blog post and podcast episode (of course). Chris explains the key steps to preparation and launch and gives some great tips on how to do well in iTunes, especially in the first eight weeks after launch. One key point to note is that you cannot rank in the New and Noteworth section of iTunes until you have published three episodes – so definitely follow Chris’s advice to get your first three episodes out in the first week after launch. Tip: when reading Pat and Chris’s blogs, make sure you read through the comments as they contain some really great nuggets of information, like the correct email address for submitting your podcast to Microsoft Zune. 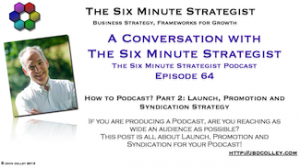 Having launched your Podcast, now what? Of course, you need to plan out your content schedule, line up interviewees and keep to your weekly or monthly timetable. What I want to address now is some strategies for building your audience. Now I am making a major assumption that you have your own blog or website, but even if this is not the case, there is a great deal you can do to make the web aware of your presence. I would strongly advise you setting up your own website/blog that you can refer your listeners back to in order to learn more about you and to get access to all the show notes, other information and links that you cover in your podcast episode. Don’t forget to ask them to sign up to your email list while they are there! Firstly, you must think about social media marketing as a lattice, a spiders web of connections all joined together. When you devise a strategy it should involve several interlocking strategies on different social media platforms to ensure that you are making the most of your content (by repurposing it when ever possible) and reaching as wide an audience as possible. When you upload a new episode you should ensure that it goes out to as many different platforms as possible. In writing this blog post I have learned from Pat that I can syndicate to Zune and to Blackberry and I will be doing this in the very near future. Try to make your syndication as automated as possible so that publishing an episode is a simple and as fast as possible. 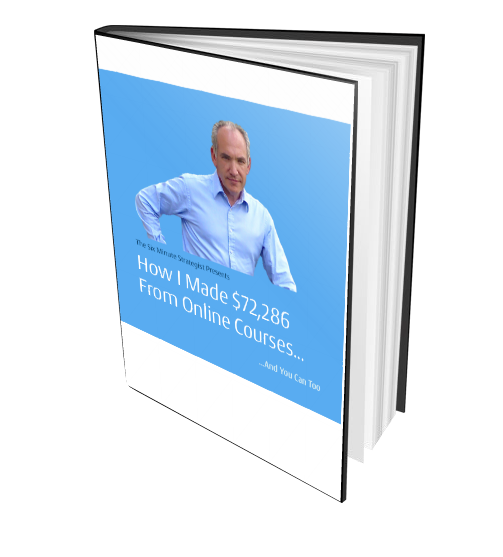 This is a more proactive process and takes some work but you can pick and chose which parts of this strategy you wish to implement at any one time. Here are some suggestions. You should definitely either publish you Podcast in your blog stream and categorise it appropriately or have a separate section on your website for your blog. Here you should publish your show notes, any links you refer to in your broadcast and where possible a transcript although this often means outsourcing this to a VA and incurring a cost. Twitter: When you release a new episode you should definitely tweet about it to let your community know it is out there. To be more efficient, I use Hootsuite (which is free for five social media accounts or less) to batch a series of tweets and schedule them for the coming week. This way I can reach different time zones as well as arrange all my Twitter promotion of my podcast in around 10 minutes instead of setting the alarm clock for three in the morning to send out a tweet. Hootsuite can also publish content to Facebook, Linkedin and Google+ as well but I urge you to use it cautiously so that you do not spam your community. Remember that different people consume different content in different ways and at different times. My audience is active on Slideshare (which significantly is now owned by LinkedIn – more later) and it is the work of 15 minutes to prepare a few slides in keynote or PowerPoint promoting your podcast episode. This is a link to my Slideshare Profile Page. Talking of Pinterest, what does this have to do with audio? Its an image driven site isn’t it? Well of course it is but if you have just prepared a slide deck, it is the work of minutes to create a pin board on Slideshare for your podcast and create a single slide presentation promoting each episode. Export each slide as a single image and upload them to Pinterest, well, easier than that, upload the image to your blog post or website podcast section and pin from there, creating a link back to your website where the visitor can listen to the episode. Don’t forget to put another link in the summary description of the pin itself to get more google juice and to make it even easier to follow. In the Board Description you can also explain what the podcast is about. If a significant part of your audience is on LinkedIn, then sharing updates on LinkedIn is a very powerful way to promote your podcast. Don’t forget the power of sharing through Groups and that you can have a link in your website profiles as well. Making short videos is a great way to promote your other content, particularly as Youtube is such a good search engine. Make sure you put a link to your blog or iTunes (second choice) in the video description and summarise the content of the podcast episode in the written summary. Insert relevant tags to enhance the video’s SEO as well. Making a video with an iPhone is very simple and can be enhanced and edited in iMovie and uploaded to Youtube. The ideal length is only a minute to a minute and a half. 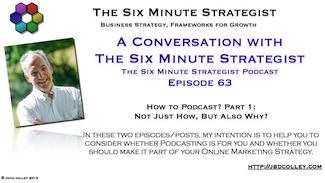 Furthermore you can make your blog post more interesting by embedding the video on your own site as well as a way of introducing the podcast episode to your listeners. 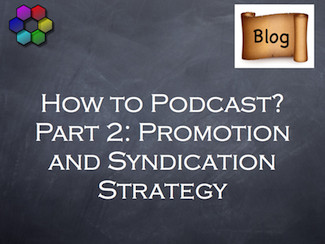 Here is an example I have made for this Blog Post/Podcast Episode! Monitoring your Analytics is a key part of social media strategy. Measure what works and what does not and continually improve on the good stuff. iTunes does not host and is little more than an enormous directory of links. As a result, unlike Google Analytics for your website, such information is not available from iTunes. Hosting providers such as Libsyn do provide simple and more advanced Analytics, but at a small cost. IPadio offers simple download statistics but for me this is enough. I have created a spreadsheet in Excel and monitor downloads over time, normally once a month is quite enough to get an idea of what has been successful.